Dr. Lumsden was a senior visiting physician on the staff of Mercer's Hospital in Dublin and in 1902 was the Principal Medical Officer to the Commissioners of Irish Lights. However, it was his role as Medical Officer (later Chief Medical Officer) at the Guinness Brewery that proved a turning point for Dr. Lumsden. Dr. Lumsden saw a high rate of tuberculosis amongst Guinness employees and knew that overcrowding was probably a factor. In 1900 he got the approval of the Guinness board to spend two months inspecting the homes of each Guinness employee in order to ensure that they lived in proper housing and to look for ways to prevent or treat the disease. He also studied the diets of the employees and established cookery classes for the wives of Guinness employees. Finally, he helped to set up the first Guinness sports club. In his post as Medical Officer Dr. Lumsden was asked to provide first-aid classes for employees at the Guinness Brewery at St. James's Gate. The classes became so popular that they later became the first registered division of the St. John Ambulance Brigade of Ireland, which Dr. Lumsden founded in 1903 and became the first Commissioner. He remained Commissioner until his death. Working with Dr. Lumsden during the Easter Rising was Dr. Ella Webb who had become a member of the St. John Ambulance Brigade of Ireland in 1914. She helped to set up an emergency hospital at the Brigade’s headquarters at 14 Merrion Square during the Rising and “cycled daily through the firing line to visit the hospital”  (See also Dr. Ella Webbs's 1916 diary). In 1917 and 1918 Dr. Lumsden was a Major in the Royal Army Medical Corps. In 1923, after the establishment of the Irish Free State, Sir John along with Dr. Ella Webb wrote to the President of the Council of the Irish Free State to start the process of breaking away from the control of the British Red Cross Society and the Order of the St John of Jerusalem. This led to the Brigade becoming an Associated Body and completely independent from the English based St. John Ambulance  and further led to the formation of the Irish Red Cross Society in 1939. 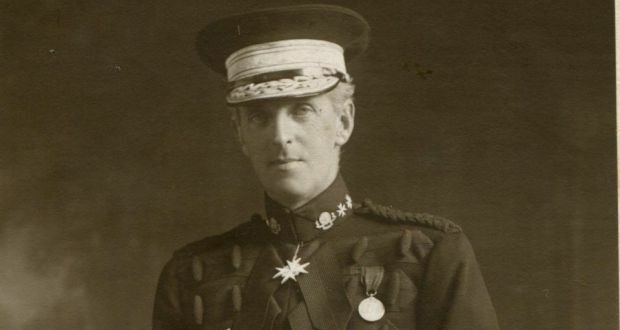 Sir John was one of the first members of the Irish Red Cross Society. In 1930, at the age of 61, Sir John bought Earlscliffe from the sister of his good friend and colleague Dr. Ella Webb. At that period, the house was mostly surrounded by fields. See "Earlscliffe in the time of Sir John Lumsden" for further information about life at Earlscliffe in the 1930s, with some great early photographs of the garden and some wonderful living memories from one of Sir John Lumsden's grand daughters, Margery Stratton. The Lumsden's had five daughters and a son. 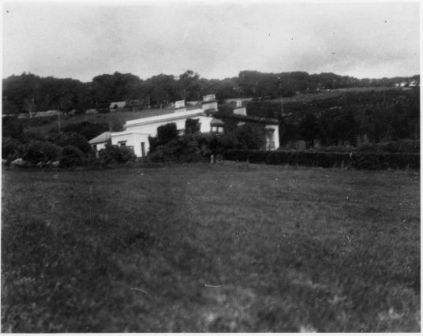 In 1933, his daughter, Margery was married in Howth and had her reception at Earlscliffe. See the wedding photos here. The picture of Sir John Lumsden above is courtesy of Michael Radcliffe, 3rd son of Margery née Lumsden, whose wedding photos are linked above. 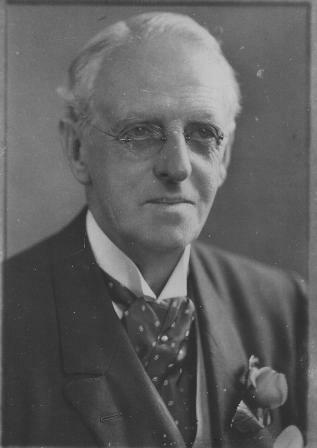 In the photograph Sir John is wearing a rose bud in his lapel. Michael informed us that Sir John adored roses and never went to work in the morning without first walking around the Earlscliffe garden to select a rose bud to put in his lapel. Michael also recalled that the late Dr. David Robinson explained to him some years ago that roses were the first plants that David took out when he moved into Earlscliffe in 1969 as, according to David, they were too prone to disease and required too much maintenance! However, the current owners can confirm that this was only partially true. David Robinson was looking to manage the garden in "his spare time" so roses would have required more of his precious time that could have been better spent tending other plants. However, David did leave many roses in the garden. In fact, there are some that grow against the sea facing side of Earlscliffe that the current owners reckon were possibly around from Sir John's time! The first link below displays a scrollable timeline related to Sir John Lumsden, showing births, marriages, deaths and major events in their lives and in their home and working environments. The other links are to related information. In an article in the Irish Independent, July 13, 1939, pg 7 "Call for more transfusion", Sir John Lumsden talked about the importance of being a blood donor at an annual ceremony for the Dublin Blood Transfusion Service where he gave out badges to donors. It was interesting that in an article the previous year (Irish Independent, August 26, 1938 pg 10), it was stated that many of the donors came from the unemployed "and the vast majority from working people". The president of the Royal College of Surgeons Ireland (R.C.S.I), William Doolin, thought that this was unfair as these people had "burdens enough on their shoulders as it was". He was seeking more donors from the "more leisured and well-to-do classes".